Published on December 1, 2016 by Martyn. Be the first to comment! I’ve taught creative writing in a fair few places over the years – from the Scottish Highlands to Melbourne, Australia, and most corners of England – but I’m especially excited to have been invited to tutor a residential course in Tuscany next year. The week-long course is hosted by The Art of Writing, founded by Lisa Clifford, an Australian ex-pat writer who has lived in Italy for many years. 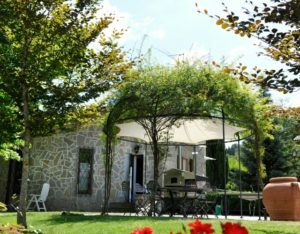 Lisa runs two “retreats” a year at a small hotel in Casentino, in the beautiful upper Arno Valley, less than an hour’s drive from Florence. I’ll be the guest tutor for the autumn retreat in 2017 – from September 10 to 16 – when a group of ten writers from around the English-speaking world will converge on the Tuscan mountains for six days of creative indulgence. The mornings will be taken up with workshops in the hotel’s garden gazebo – covering a range of topics such as characterization, plot, setting and voice – with writing time and individual tutorials in the afternoons, followed by early evening sessions with literary agents, editors and other publishing professionals. The week will also include a trip to a medieval castle and a chance to make cheese. (I WON’T be leading that class!) There’ll be plenty of wining and dining, too. What’s not to like? To visit the Art of Writing website and find out more please click here. And here’s a link to a Q&A I’ve done for their blog.